Hello friends! 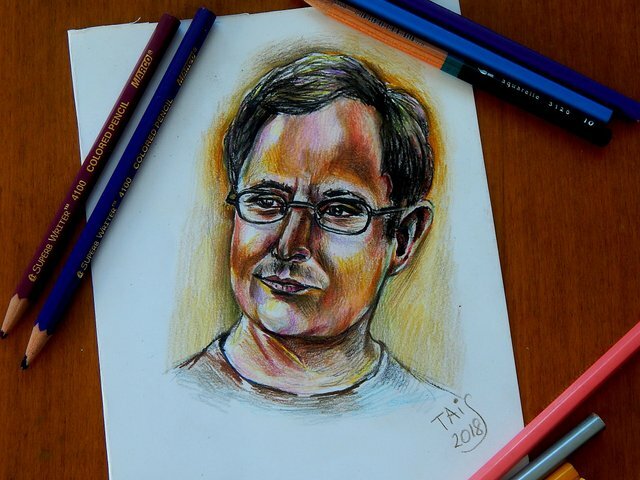 I want to share my new portrait. 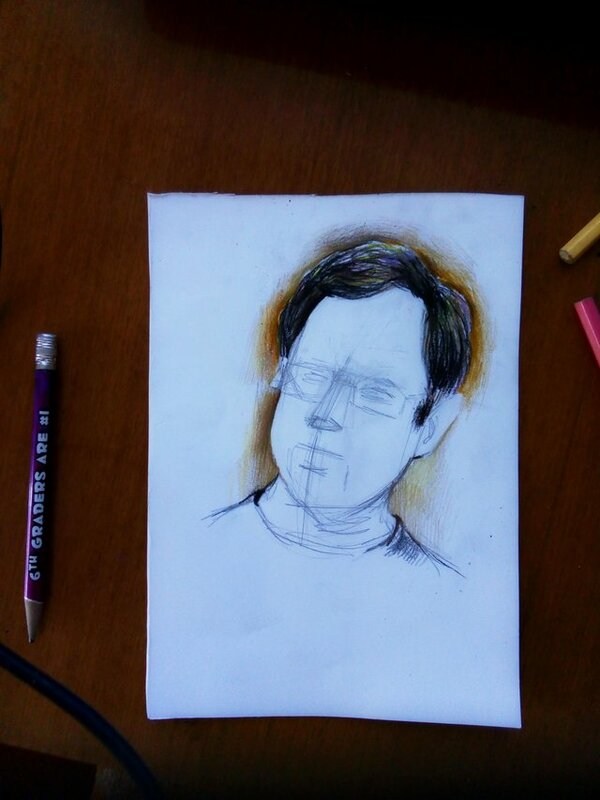 I like his interesting and informative posts and I decided to make a sketch of such a great person. Thank you very much for your kind comment @ireneblessing. Comments like yours motivate me to do more on Steemit. I love your beautiful drawings of flowers and fruits and now I see one more side of your talent! 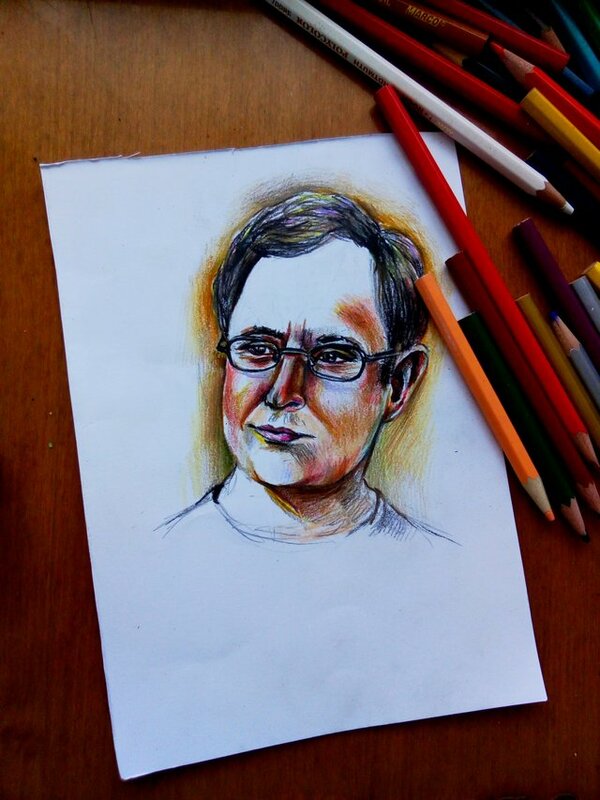 Very good portrait! I hope Michel Gerard will also like it! Какая у вас необычная техника! 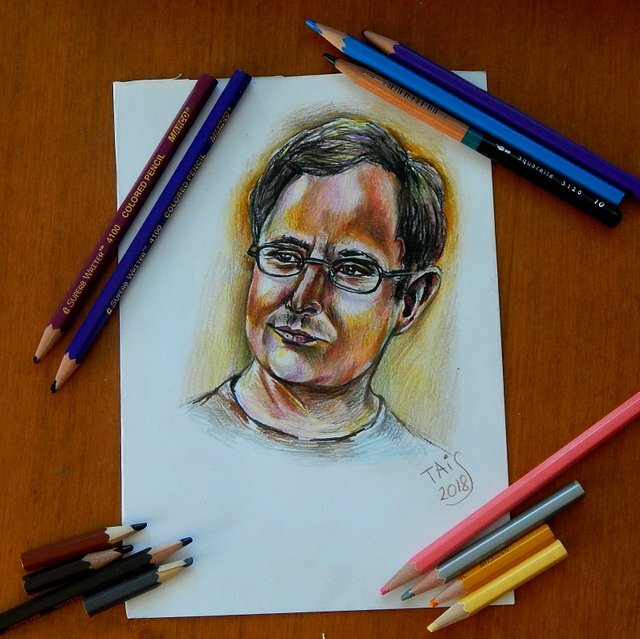 Thank you very much @sweettais for making this portrait of me. 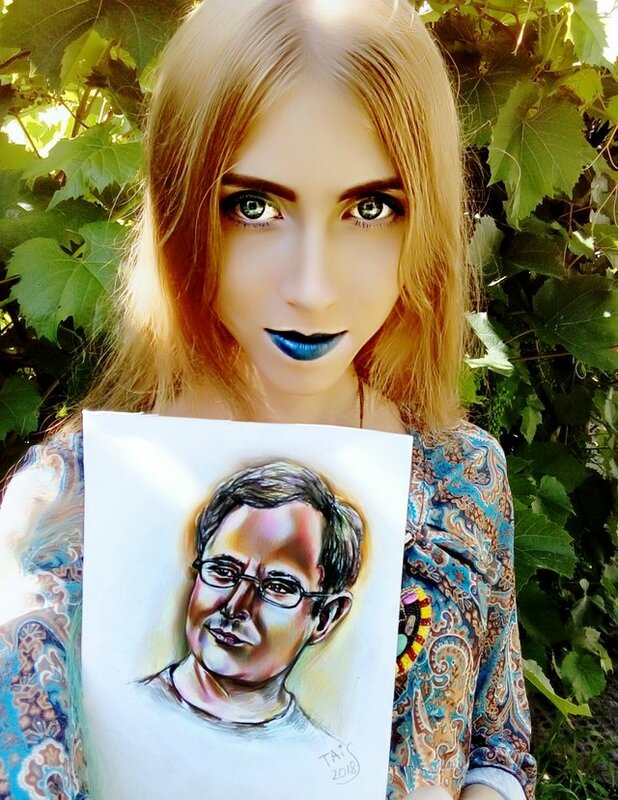 I am very touched because this is the first time someone does a portrait of me and this is a sign that I am starting to have some positive effect on the Steem community. This post has received a 11.86 % upvote from @boomerang. 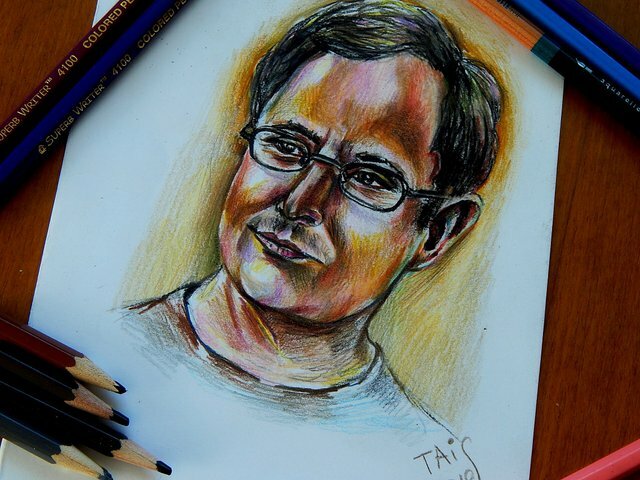 Wow, @sweettais it's a great drawing! excellent, continue like this I leave my vote here and follow you. Nice, I hope I can get featured next time haha!